With a beautiful terrace fireplace or a trendy fire bowl you can sit outside on a balmy summer evening. But you can make it even cosier with the dancing light of a garden torch or candle. Torches also provide a beautiful atmosphere in your garden or balcony during the autumn and winter months. Below you'll find a wide variety of attractive garden torches, garden candles and oil lamps. Ranging from citronella scented candles to traditional bamboo torches. Create cosiness in the garden with torches and garden candles. 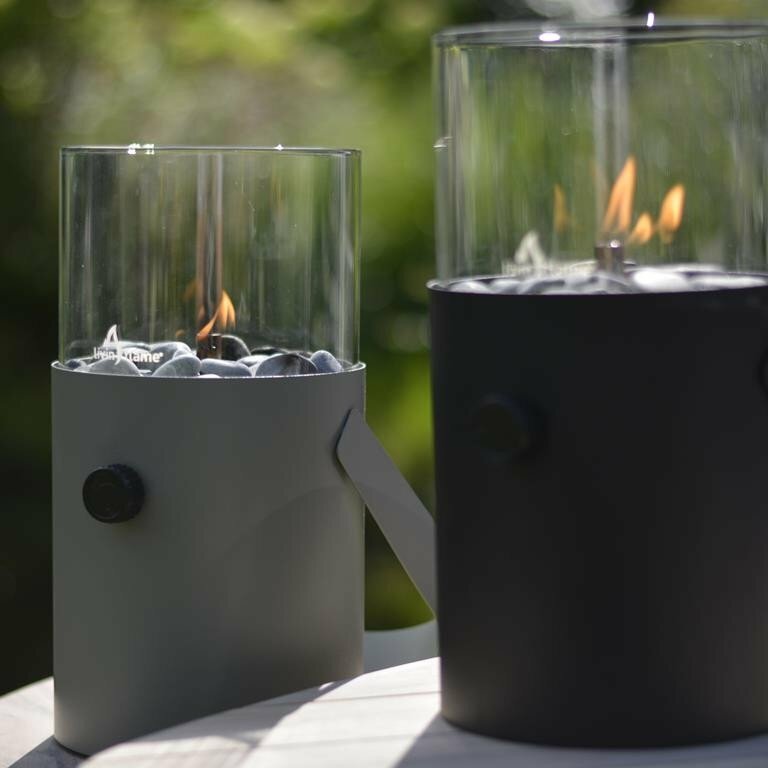 At Firepit-online.com, you can choose from a carefully selected range of garden torches and garden candles. You will find all sorts of nice torches and candles in our store to brighten up the ambience of your garden. This way sitting outside gets even cosier. Whether it's a garden party or an intimate dinner, with some attractive bamboo torches or practical oil lamps you can create an ambience in your garden that is unparallelled! For example, the Cosi Scoop gas lantern is extremely popular. This table lamp works on a gas cartridge with which you keep the flame burning for about 5 to 6 hours. Very easy and very cozy. And what about the Esschert tumble torch ... Tumble torches burn on lamp oil and, for example, are also widely used in the catering industry. Tumble torches guarantee atmosphere and the flame does not just blow out. You are bound to find a torch matching your requirements in our selection. Whether it's Swedish torches, citronella scented candles or torches with coloured flames, you will find the cheapest torches in our store! At Firepit-online.com, everything in the selection evolves around ‘fire’, ‘warmth’ and ‘cosiness’. Your garden cannot go without a nice garden candle or garden torch! Firepit-online.com has all the candles and torches in stock, so if you order before 17.00hrs, your order will be delivered the next day! In addition, we allow you to pay later!